Whether you are a young person considering a career in marine biology, or a secondary level student who’d just like to know more about Ireland’s fascinating marine wildlife, this course promises to be a great introduction. Run over the course of five days, the programme covers a wide range of marine topics, including hands on demonstrations of techniques regularly used by biologists, eg. survey skills, fish dissections etc. Students also have the option of including outdoor adventure activities such as snorkelling and SCUBA diving in their course programme. This unique course is available to students through our marine biology summer school and as a private option for secondary schools. – Our Introduction to Marine Biology lecture series and course notes, including stunning slide shows of Ireland’s marine life. – An in depth tour of the Sea Life Centre in Bray, with opportunities to get up close with a diverse range of marine animals. – A fun filled trip to the seashore, including a lesson on how to recognise and identify animals and plants that typify our coasts. – Instruction by qualified and experienced marine biologists, including career advice for students wishing to pursue marine biology as a career. – A birdwatching and marine mammal (seals, dolphins and porpoises) watching workshop on Bray Head. – Participation in our citizen science programme and marine conservation projects, including our Purse Search Shark and Ray Eggcase Sightings Scheme. 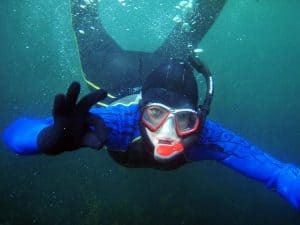 – Additional outdoor activity options, including snorkelling and SCUBA diving. – A Certificate of Course Attendance. After much consideration, we have decided not to run any courses over the summer this year as we need the time for fieldwork on other projects while the weather is more favourable. We are disappointed not to be able to run the teens course as we know how much the students enjoy it every year. However, we will be developing some online resources for teens considering a career in marine biology, so please do sign up to our mailing list below if you are interested in being kept informed.